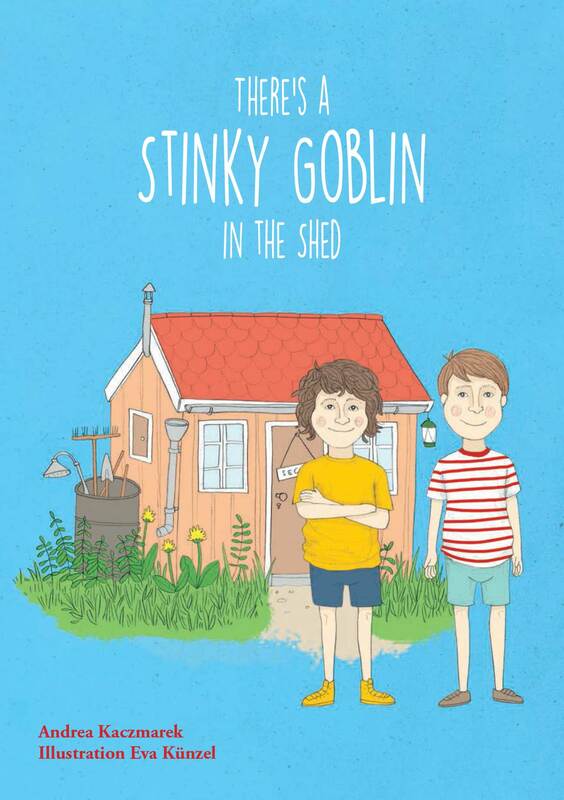 Twins Jerry and Jacob have a BIG little problem on their hands when they find a goblin in Gran's shed! Jerry and Jacob clean out Gran’s old garden shed to make a den, but on their first late-night walk in the woods behind it, they come across a very strange, grubby little person and their problems begin. A small pile of rags that can talk! The boys want to run away fast, but they take pity on the peculiar, moaning, groaning and very smelly creature. They promise to try and get it back to its own world – GoblinLand. And hiding a goblin in their den is a full time job..! 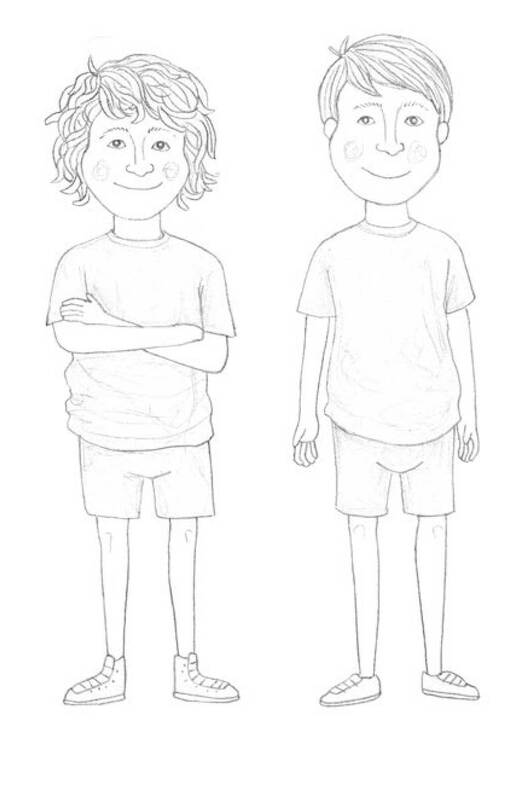 Jerry and Jacob are twins, but they don’t look like each other at all, which they think is just so unfair because they can’t play the usual “twin tricks” on people. Jerry is the curly one and Jacob is the spiky one; Jerry is tough and has clever ideas, and Jacob tags along. One of their favourite places to hang out is the rickety old wooden shed at the end of Gran’s garden. She doesn’t use it much, just to store the garden things and other junk in winter. Mum is away quite a lot, and then the twins stay at Gran’s, not so far away, just like the other week. 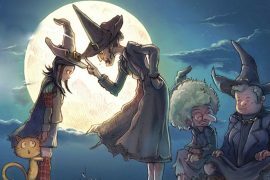 “Gran never ever lets us do anything dead exciting!” Jerry moaned, punching the air as he walked around the garden shed. Jacob grinned. Yes, Gran always shook her head and laughed. Gran was always busy doing things, like baking or gardening, but she enjoyed having the twins to stay with her, and liked them to play ‘out of her way’ too! 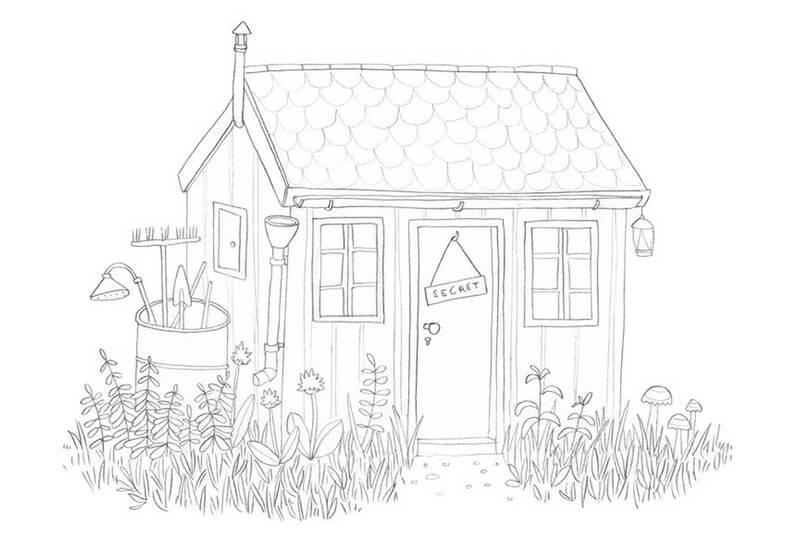 But Jerry was feeling brave and decided to ask, “Gran, can we turn the old shed into a secret den, just for us?” He said ‘secret’ again, a bit louder, just in case Gran hadn’t got the message. “Wow! 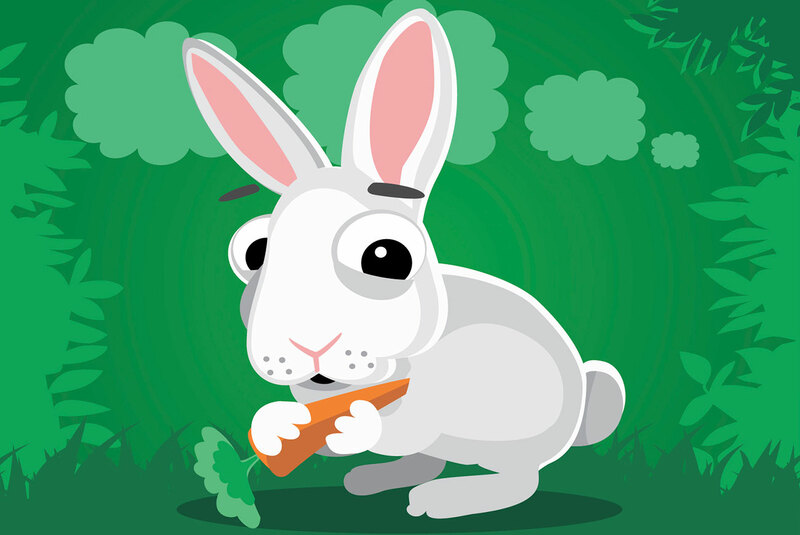 Thanks a million, Gran.” Jerry smiled and nudged his brother as Gran went back to the house. “Perhaps she’ll let us camp out there,” Jerry whispered hopefully. The boys looked round the shed again, not quite so sure of the plan now. “Yeah! But we’ll charge Gran a cleanout fee and get cash for the all the den stuff we need,” said Jacob, and pulled another handful of cobwebs from the wall. Up at the house, the deal was sealed over a sticky banana split. “You boys do a good job cleaning out the shed and I’ll take you to the shops to get some camping gear,” Gran suggested. Jerry spooned his ice-cream and looked at Jacob, who looked at their grandmother. Gran nodded, looking at both of them. 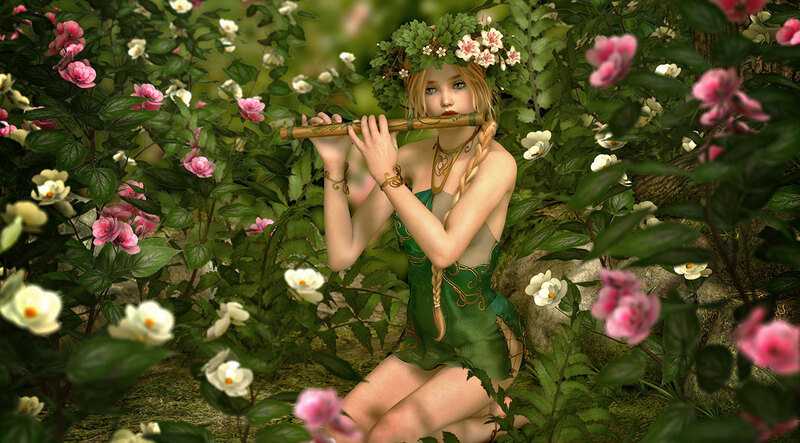 “I hope I won’t regret this,” she laughed. Maybe the boys were beginning to regret it, after two days of clearing cobwebs, scrubbing the filthy floor, washing grime from the two small windows and generally getting the place shipshape for the promised camping gear. “Cleaning out wasn’t supposed to be such hard work,” Jerry moaned. On day three Gran drove them to the department store and they all headed straight to the Campers’ Paradise section. “Wow!” Jerry picked up a small gas primus cooker. Two hours later they stuffed their goodies into Gran’s small car and lined up for the hot dogs. The hammock and the squashy floor cushions were Gran’s idea, not the boys’. 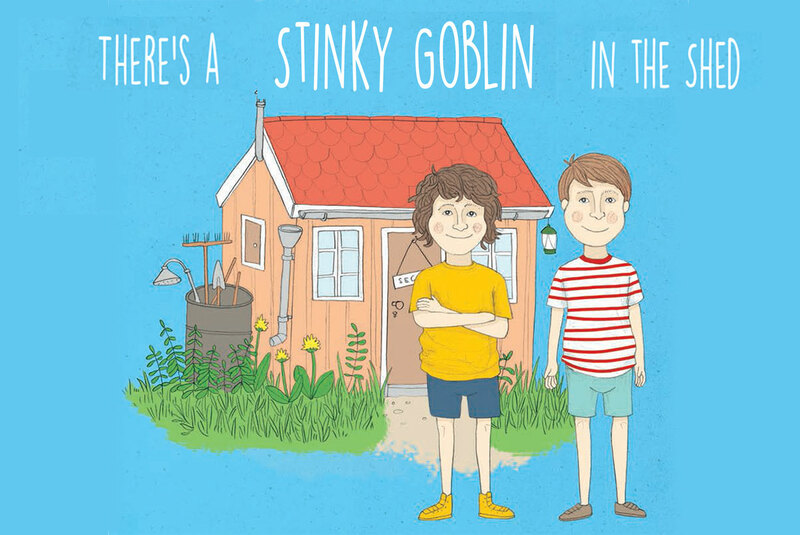 'There's a Stinky Goblin in the Shed' (Chapter Five) by Andrea Kaczmarek.